The mistake I’d apparently made was in saying that eating quinta, or black mountain rice, was an antidote to fairy spells. “It actually works the other way around,” my mother told me in our little garden in Diliman. “They’ll offer you black rice, and if you eat even a handful of it, they’ll take you to Calatong and you’ll never be seen again.” So folks, be so advised; beware of strangers offering black rice, although it’s not very likely you’ll be seeing any soon. The last time I saw truly black rice was in an American grocery store in the Midwest, where it was being sold as Indian wild rice, and cost considerably more than any other exotic variety on the shelf. But then maybe that preciousness implies more than a smidgen of magic. If black rice banishes people to oblivion, I’d like to buy a sack of it, whatever the cost, to feed to certain politicians before 2016. Much of the hermosa part remains. On this first long visit home in two decades, we took an SUV around Tablas, a day trip I’d never taken before, and I was awestruck by how lovely the place was, fringed by one emerald cove after another. 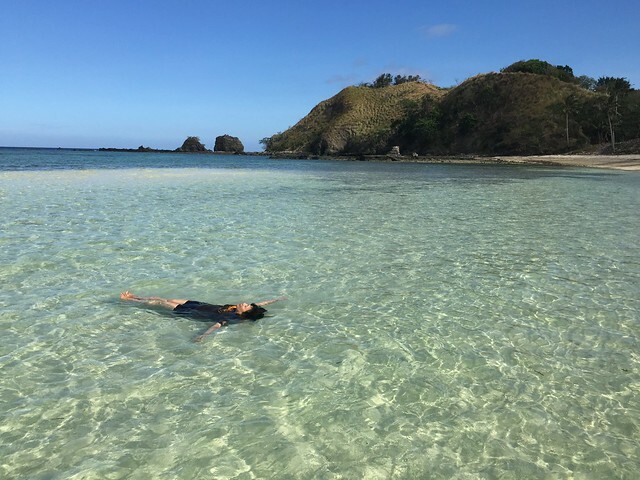 I lost no time in telling my friends to consider Romblon as a vacation alternative to Batanes, Palawan, and Boracay. The triste part, I don’t know. 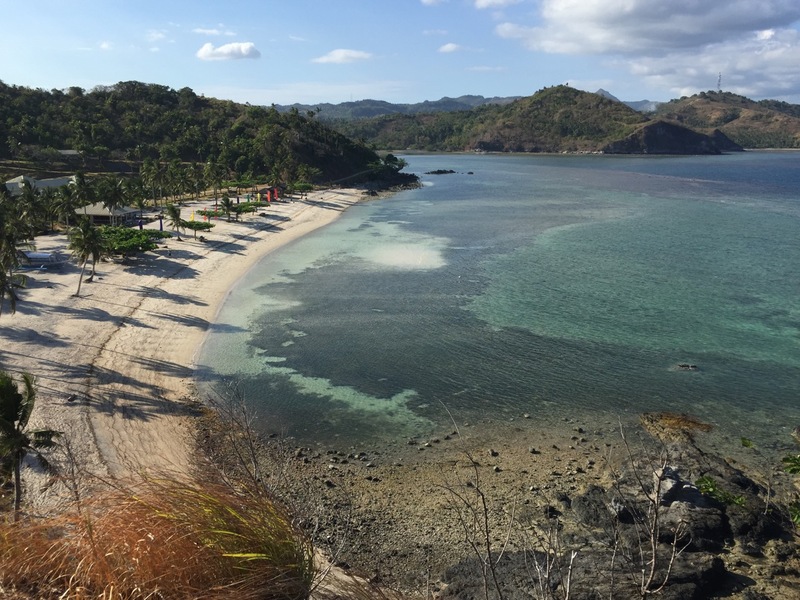 There’s certainly enough to be sad about, as much of Romblon remains painfully poor. On the other hand, the tougher things get, the harder many Romblomanons work, with their brains if not with their hands. I was puzzled by the knot of schoolchildren who gathered in front of our beachside house at dawn every morning—they carried their shoes rather than wore them—until I realized that they had walked over barefoot from a nearby island at low tide. I would later learn that one child, barely nine, had drowned this way when the tide came back in too quickly. But there was no fear in these survivors’ faces, only an insistent resolve that now and then would fracture into laughter. We were roused one morning by the thump-thump-thump of techno music in the plaza. “They’re just testing the sound system,” said our host. “It’ll be fiesta soon.” They called the uncanny practice of waking every one up pag-di-diana, and I thought that it might have had something to do with Paul Anka’s karaoke staple. A few other discoveries I learned on this trip were rather more personal. I had always wondered why I had spent such a long summer there as a ten-year-old in 1964—an experience I recounted in my first novel, Killing Time in a Warm Place—and I learned that it was because we were then so hard up in Manila that we children had to be farmed out, as it were, to save some money. My aunts recalled me as a smart but prissy boy who wore long-sleeved shirts in a seaside village and who would recite long poems in English at the drop of a hat. We also solved the mystery of why my grandmother Pinang left my Lolo Tolio in the mid-1920s shortly after marrying him and giving birth to my father Jose. It had been something of a forced marriage to begin with, and Pinang was a headstrong woman, but the story we heard was that she hated being made to serve hot chocolate when some constables came visiting one day, and took that as the last straw and left. (They would live a kilometer apart for the next 60 years, and would inevitably run into each other in town but never speak.) Now it emerged that Tolio was having a saucy little affair—an explanation that makes Lola Pinang much less petulant than the chocolate story would make her out to be. Whether sad or funny, it felt good to hear and to understand these stories again in Romblomanon without having to defer to my wife’s more widely spoken Hiligaynon, to say udi instead of diri, basi instead of ngaa; it’s still palangga in both languages. I felt at home. This entry was posted in Art & Culture, Friends, Fun, Society, Travel and tagged fairyland, Philippines, Romblon, travel by penmanila. Bookmark the permalink.